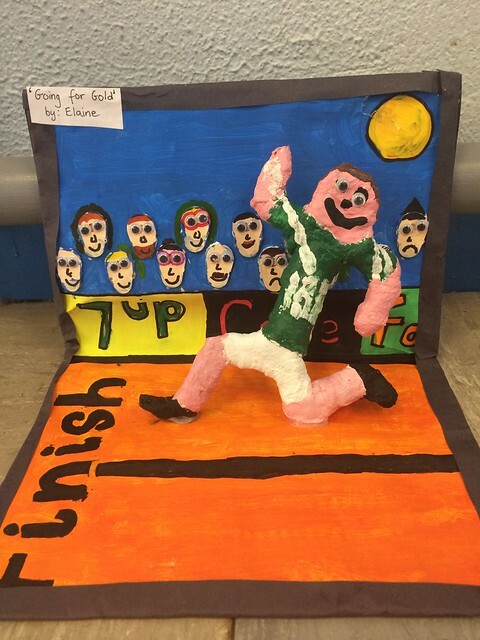 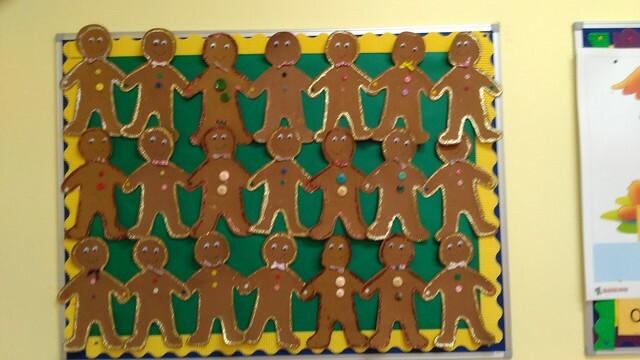 6h class used plaster of paris to cover pipe cleaner stick figures showing movement or action. 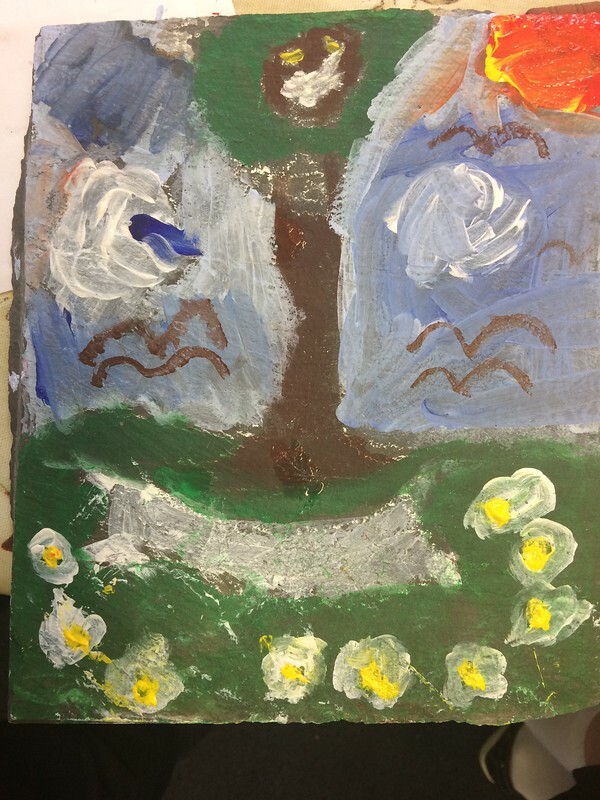 The children painted them and then decided on a background diorama to suit their figure's particular movement. 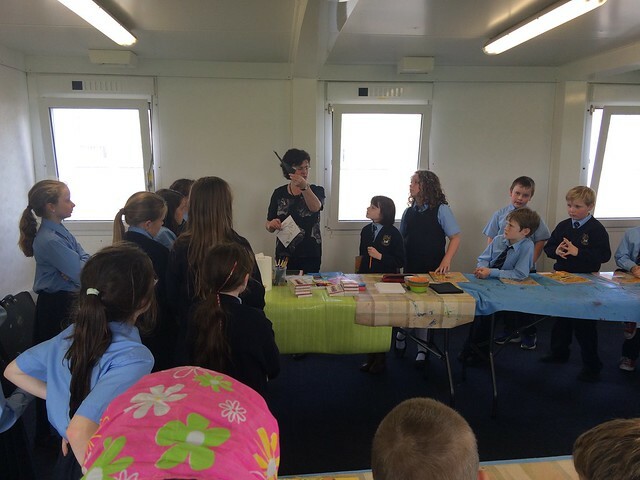 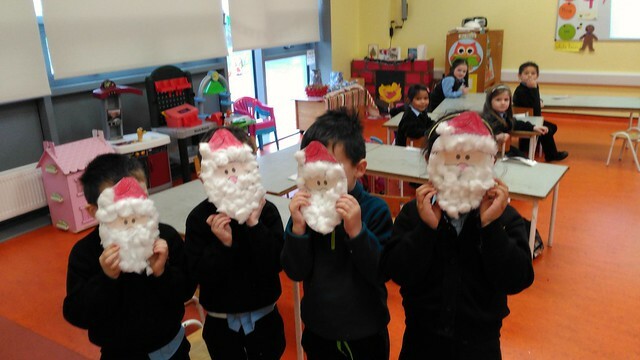 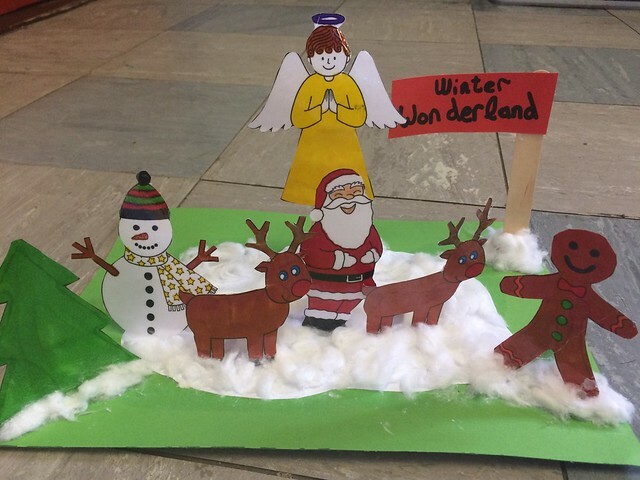 Children in 6th class enjoyed making Christmas Decorative popups. 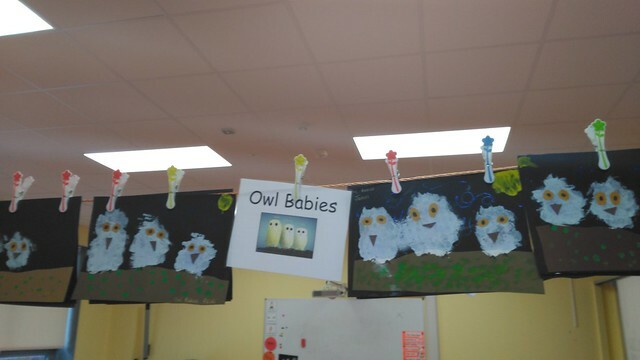 We used laminated colouring sheets, lollypop sticks and cotton wool. 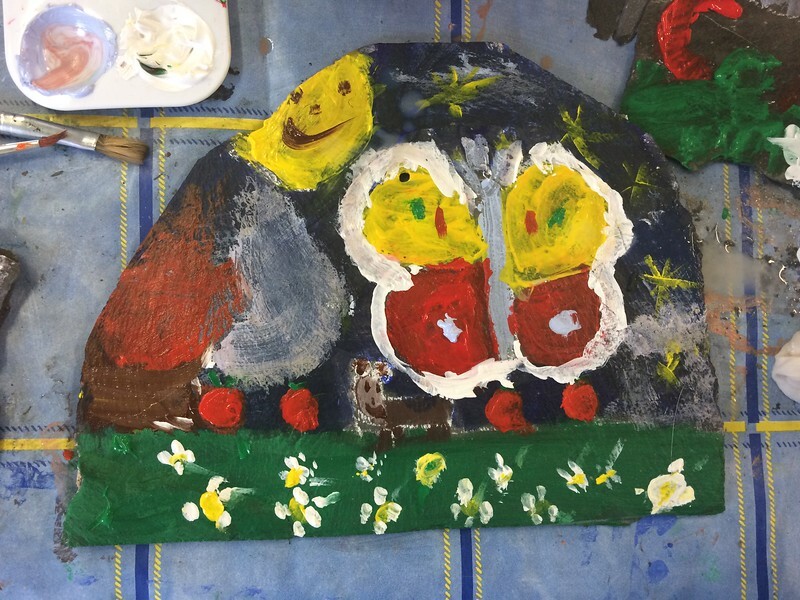 Third class used Janet Ledger's "Christmas Tree in Trafalgar Square" and the poem "Twas the night before Christmas" to create art in many strands of the Visual Arts Curriculum...drawing, Paint & Colour, Fabric & Fibre and Clay. 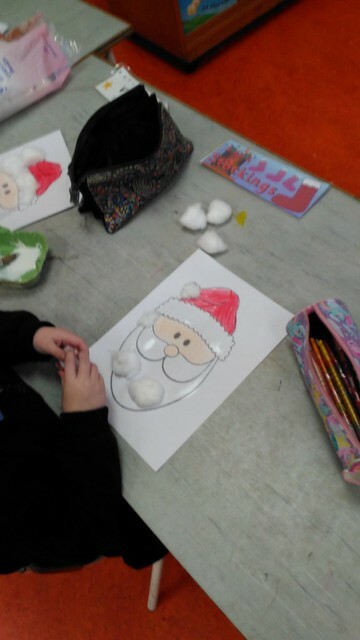 The Junior Infants have been very busy making lots of wonderful Christmas and Winter Arts and Crafts. 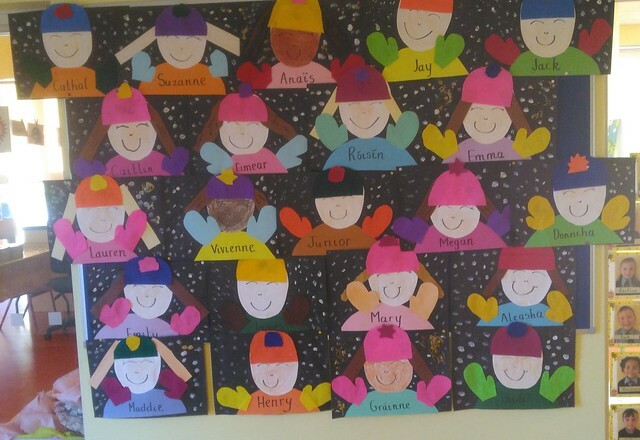 Children in 3rd & 4th have begun an art project with Rose Hanley. 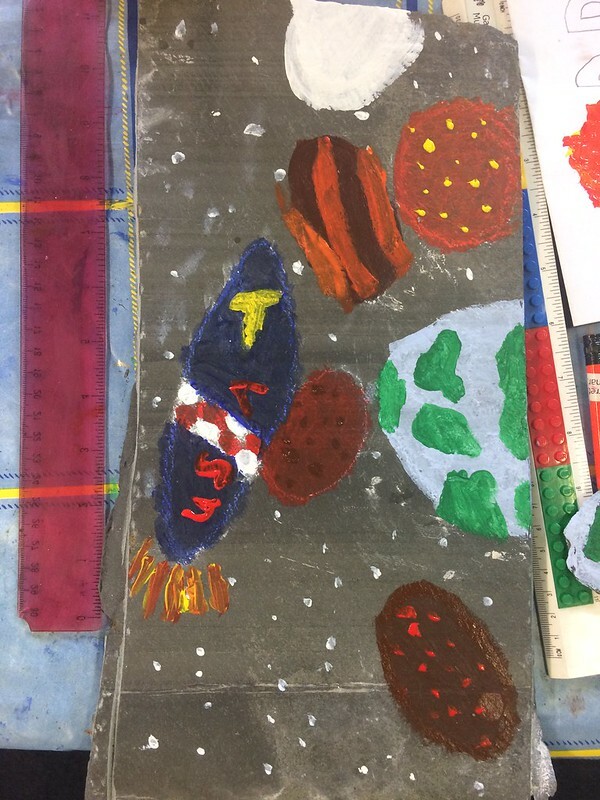 This will be a three week project. 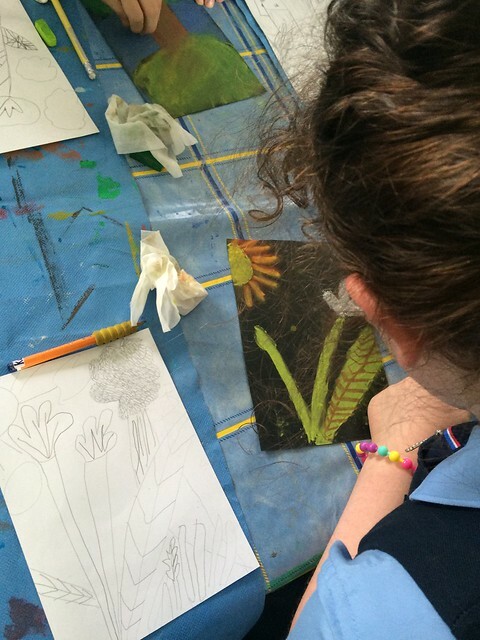 In week 1 they got the opportunity to draw from observation and from their imagination. 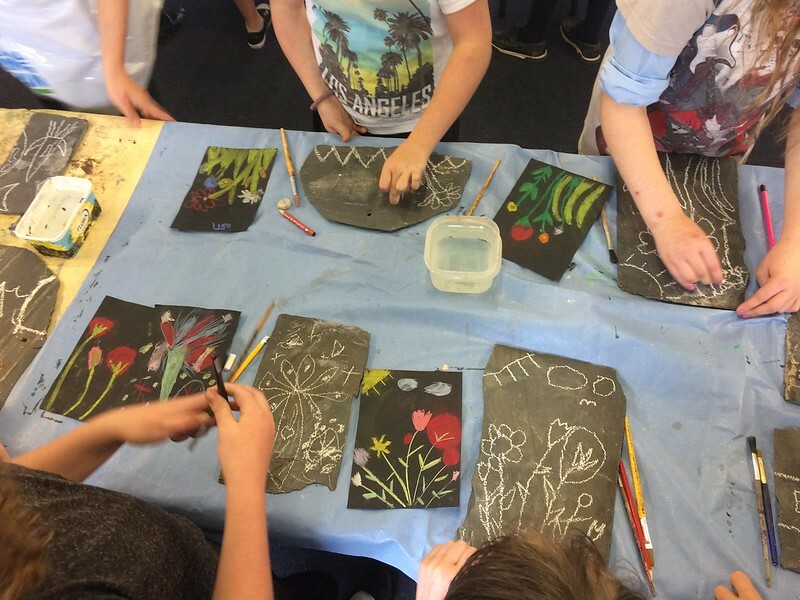 They got to use pencil on paper and then transfer their work to black paper using oil pastels. 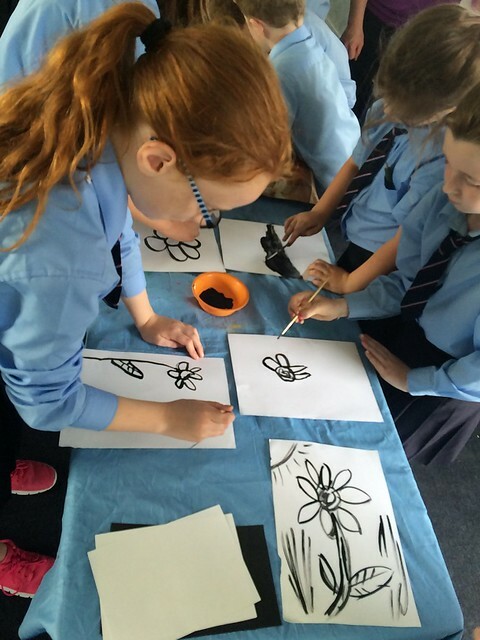 They then also got the opportunity to use Indian ink to create a picture inspired by their initial drawing from observation. 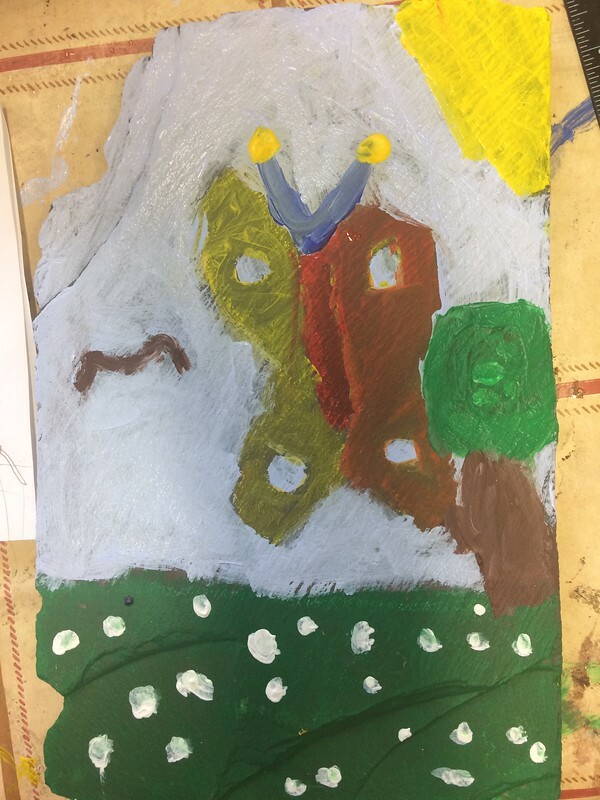 This observation was done in the school garden where there is a lovely bed of wild flowers, that many of the children used as their inspiration. 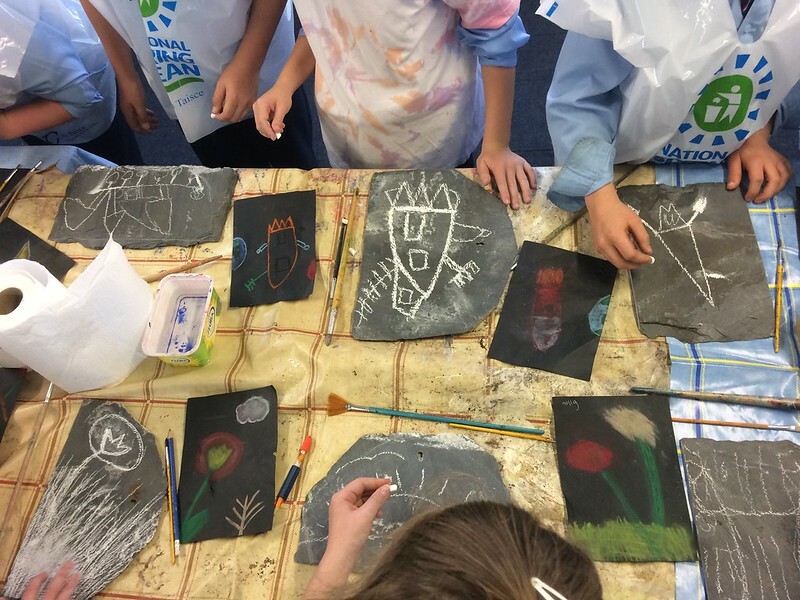 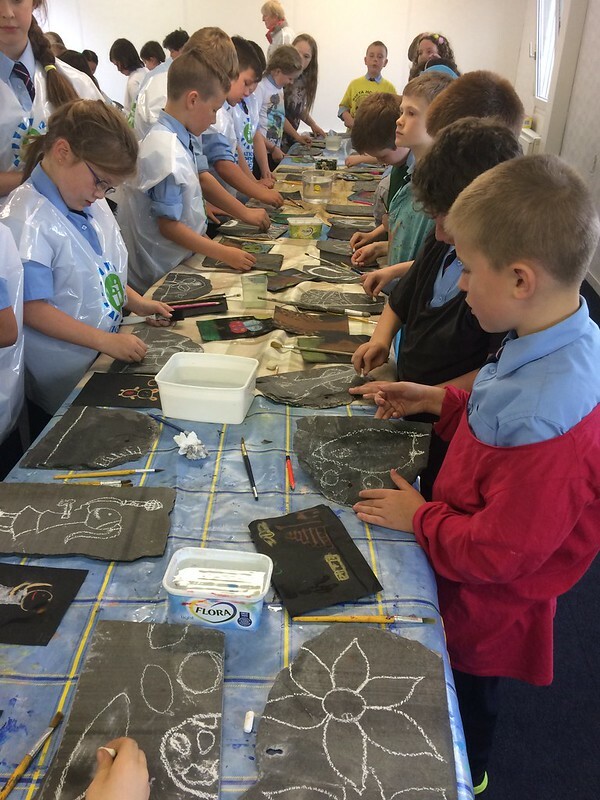 Week 2 of the project saw great progress with children painting their pictures onto the slate after sketching the outline with chalk. 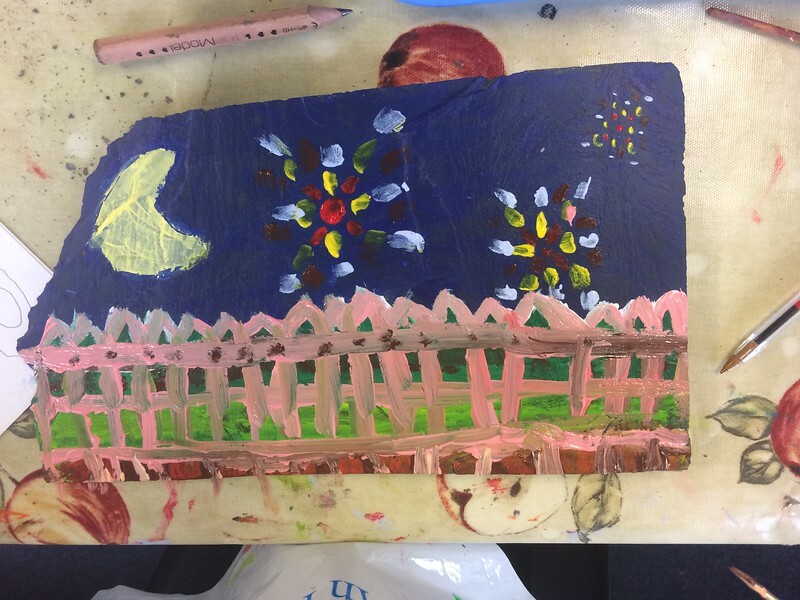 They used acrylic paint and took Rose's advice to begin with the background colour and larger areas of colour and to let the finer detail until week 3.